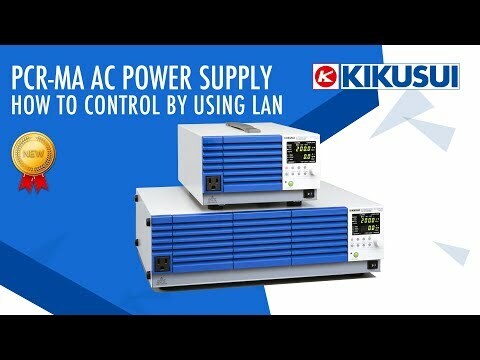 Kikusui PCR500MA AC Power Supply / Frequency Converter. 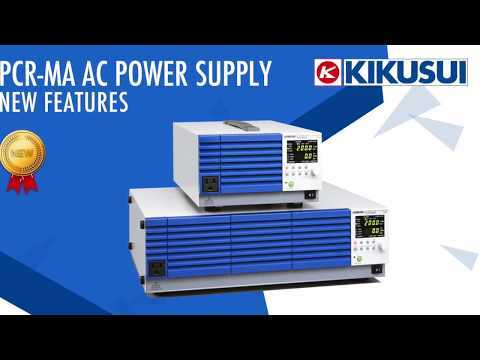 The Kikusui PCR500MA is a 500VA compact variable frequency AC Power Supply. 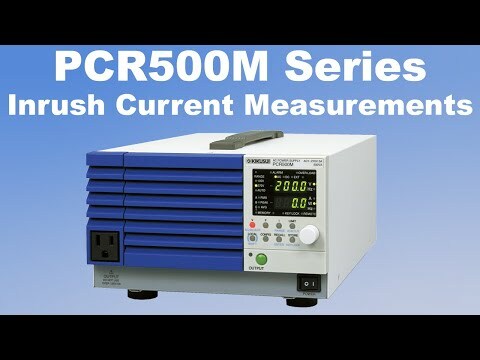 Weighing only 6kg's, the PCR500M is crammed full of features including AC, DC, AC+DC output and memory functions. The output voltage can be set anywhere between 0-310VAC and the frequency from 40-500Hz allowing the user to easily set different worldwide output voltages, including 120V 60Hz, 230V 50Hz and 115V 400Hz for aviation applications, voltage and frequency can also be adjusted when the output is on for margin testing. The PCR500MA is equipped with a USB and LAN interface and comes complete with web browser software control as standard. Instrument Drivers are also available. The output voltage variable range is 0 V to 155 V / 0 V to 310 V (2 ranges) and the frequency variable range is 40 Hz to 500 Hz, which can be set in a wide range, so it corresponds to the nominal voltage (single phase) of each country. 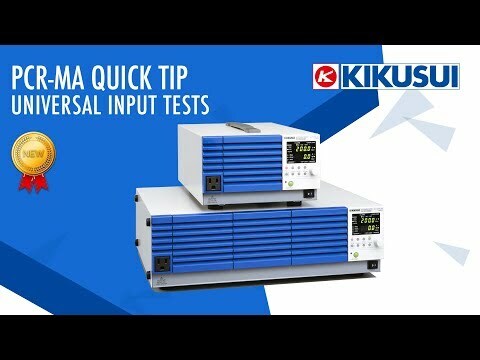 It can also be used for testing power supply equipment mounted on aircraft, ships and actuators. 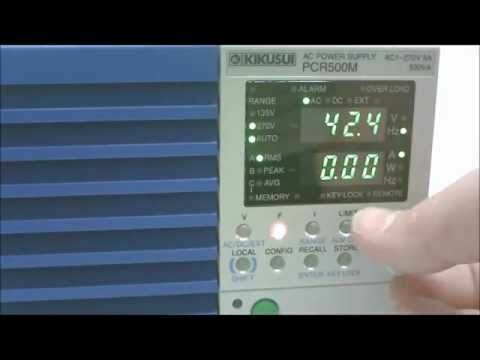 You can measure voltage, current, power of AC and DC output. You can display true rms value and average value (direct current) of output voltage and true rms value, peak value and average value (direct current) of output current. Also, it is possible to measure apparent power (VA), reactive power (VAR), power factor (PF), crest factor (CF), peak hold current by using the communication interface. Output ON phase setting function In AC mode, it is possible to set the OUTPUT ON phase between 0 and 359%. voltage value to be output can be varied according to the input DC signal.